Lagos, 30 June 2015: Ten of Africa’s most influential and iconic contemporary musicians have been nominated for the “Evolution” award, to be presented at the MTV Africa Music Awards KwaZulu-Natal (MAMA) 2015. 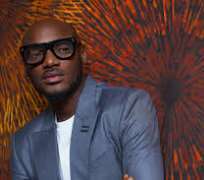 Nominated in the category are 2Face (Nigeria), Anselmo Ralph (Angola), Asa (Nigeria), Black Coffee (South Africa), Chameleone (Uganda),D’Banj (Nigeria), Fally Ipupa (DRC), HHP (South Africa), P-Square (Nigeria) and Samini (Ghana). To vote for your favourite artiste, go to at http://mama.mtv.com or use the hashtag #Evolution on Twitter or Instagram, followed by the artiste’s name, i.e #Evolution2Face, #EvolutionAnselmoRalph, #EvolutionAsa, #EvolutionBlackCoffee, #EvolutionChameleone, #EvolutionDbanj,#EvolutionFallyIpupa, #EvolutionHHP, #EvolutionPSquare or #EvolutionSamini. Celebrating the evolution of African musicians by recognising contemporary artistes and trailblazers across a range of music and lifestyle categories, the MTV Africa Music Awards 2015 will broadcast live across Africa on MTV Base (DStv channel 322), MTV (DStv channel 130) and BET (DStv channel 129) on Saturday July 18, 2015 at 9:00PM.